Pimples always show up right before a special occasion, don’t they? In spite of taking good skin care you may encounter a sudden pimple on waking up in the morning on an important day. And if you have to go to a party or on a date, you get panicked and start looking for how to get rid of the pimple immediately from your face. Make sure you remove the pimple carefully, so that you don’t leave a pimple mark behind permanently. Don’t worry, we have here for you a good pimple removal solution. 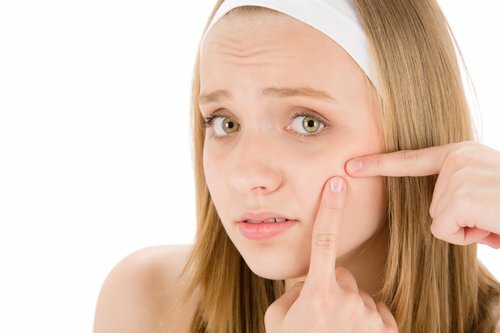 How To Get Rid Of A Sudden Pimple Problem? How do you solve a sudden breakout? Here are the steps to remove a pimple fast. (i) Apply a warm compress for 10 minutes to help the pimple come to a head. (ii) Use acne spot treatment with a 2% salicylic acid product. Apply gentle, even pressure to the blemish on both sides with two cotton clean swabs. If anything is ready to come out, it will then. Make sure neither to squeeze, nor ever use your fingers. Alternatively, to spot-treat and conceal a pimple instantly, consider using a blemish eraser stick that has salicylic acid on one end and concealer makeup on the other end. Caution: Be wary of “miracle cures.” There are no overnight treatments for pimples. If you hear someone on TV or read online promising a quick, guaranteed cure for pimples, it’s just a hype to fix you to buy their product. Acne Treatment Tip: Use a good acne treatment on a regular basis and try for about 2 months and then come to a decision whether it’s working. Thanks for finally talking about >Quick Pimple Removal Technique <Loved it!